Jay Harris has been fishing around the world. This year he set his foot in Malaysia for a 6 day fishing Tour. For Winter Vacation, I had gone to Costa Rica, where I discovered Roosterfish, as well as my first Cubera Snappers and sailfish. However, this did not satisfy my appetite for fishing. Far from it. 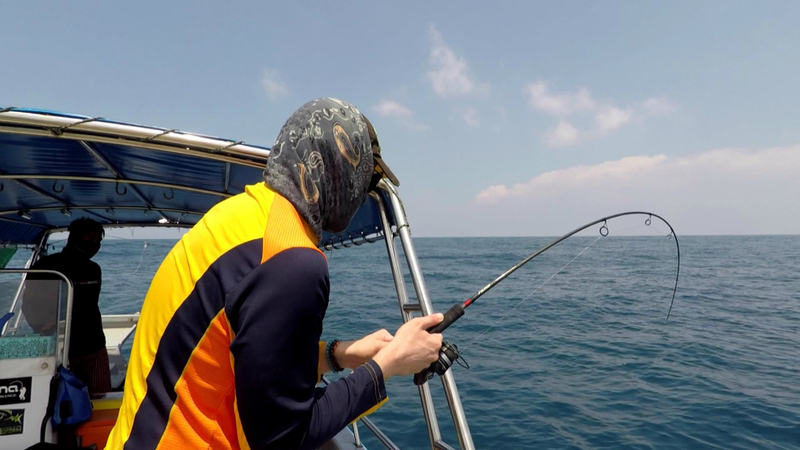 Hoping to encounter even more sailfish at Kuala Rompin, I booked a ten day fishing safari, in both Thailand (where I have a lot of experience fishing the “monster lakes” for species like Arapaima and giant catfish) and Malaysia, where I had gone before but never fished. 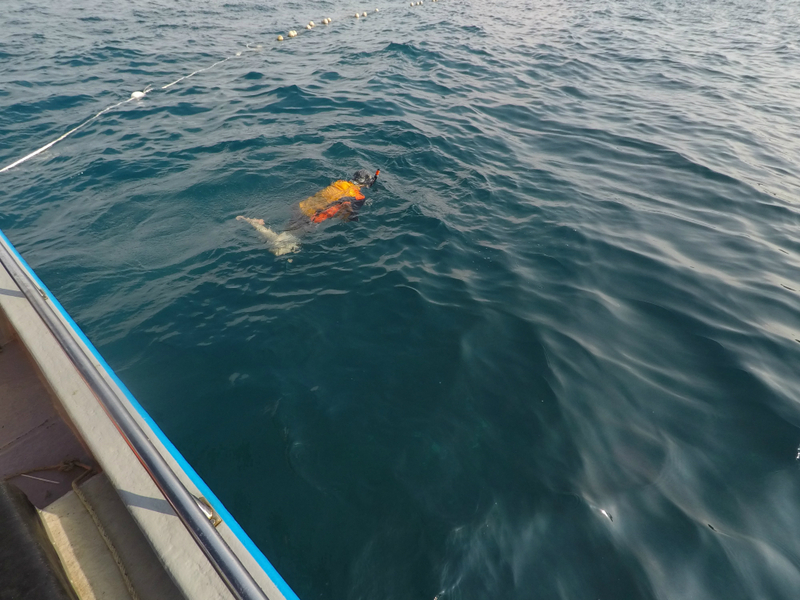 Unfortunately (and unusually for this time of year), the ocean weather in Rompin and, as we were to find out later, elsewhere was not cooperative. 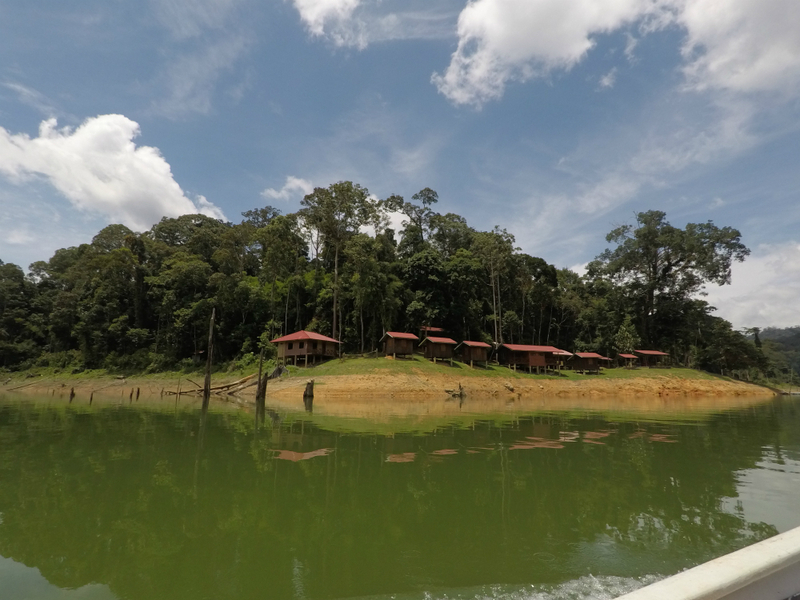 So, with that, we spent our first three days of fishing at Royal Belum State Park, Perak. I figured that if I couldn’t get my hands on another sailfish this time around, that a trophy sized Giant Snakehead would make a good substitute. I was hoping for 4kg or better. I had fished Giant Snakehead before, at Khao Sok National Forest in Thailand, more than two years earlier. However, all the “big ones” had gotten away, by breaking me off on the trees. 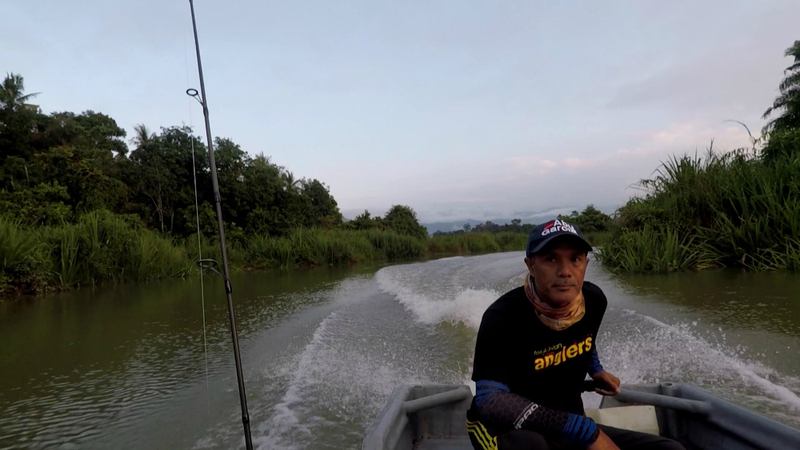 I came to Belum hoping for a measure of “revenge.” From the start, the fish were on the feed, and I couldn’t help but catch all the common snakehead, which struck imitation frog lures just off the bank. Smaller Toman followed. During lunch, I continued fishing, using bread to have fun with some gourami at the houseboat. From there, we headed south, to find a spot populatef by larger snakehead. Bang! Fish on! As usual, when I am fighting a big fish, I get super passionate. My entire mind is on bringing it in. After a few minutes, I had my revenge and a snakehead of about 80~85 cm and 5~6 kg was onboard. We released the fish, and continued a bit longer, before calling it a night. 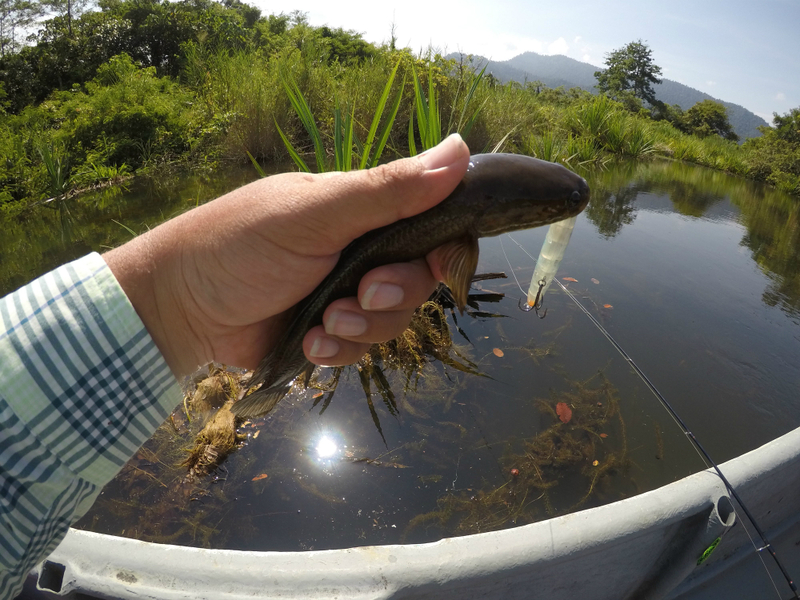 The next two days, the common Snakehead and smaller Toman continued on the feed, and the Hampala barb joined in the fray, as well. They are fantastic fighters on light tackle! We fried up four Hampalas and a smaller common Snakehead for dinner, and it didn’t disappoint. Royal Belum won me over, big time. We also saw a great deal of wildlife, from monkeys and horn-bills to cobras and monitor lizards. 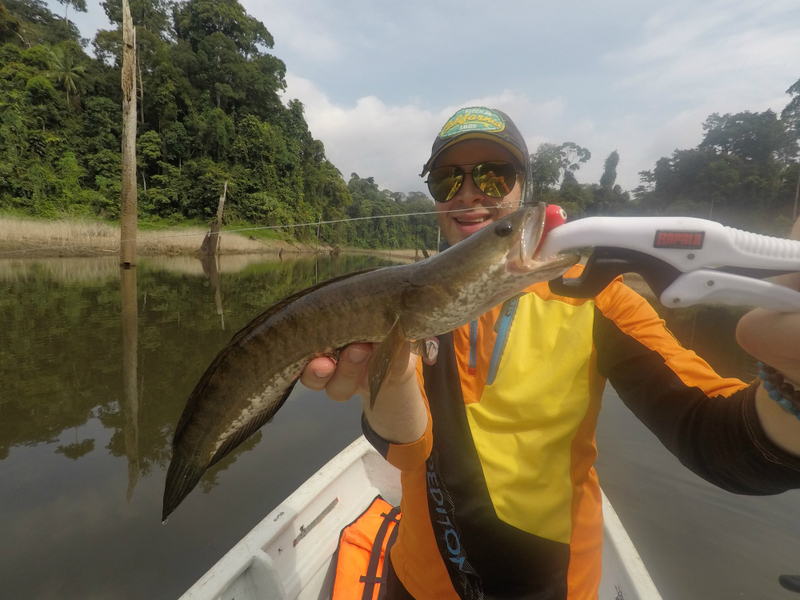 One of many Common Snakehead or Haruan fallen for the soft frog lure. Handmade by XDeen Craft. Haruan is the smaller Snakehead species in Malaysia. Our target would be the Giant Snakehead. Giant Snakehead, strike a wooden topwater Jump Frog Lure. Jay Harris and his Trophy Giant Snakehead! Mission accomplish! Sungai Kenarong Base Camp. 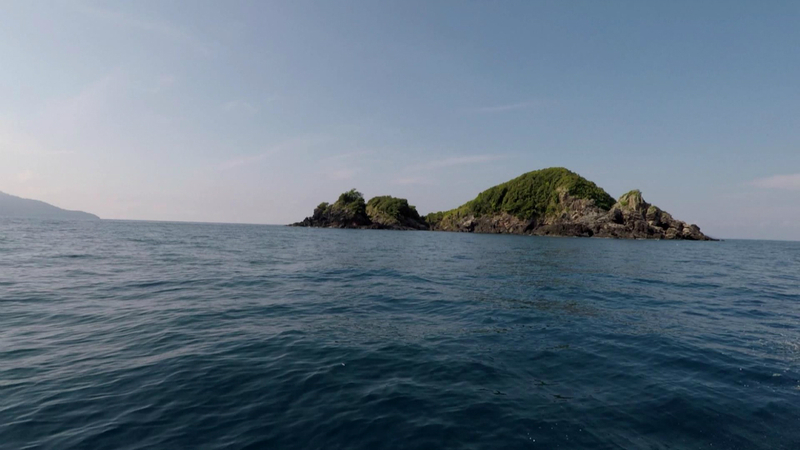 One of the best fishing spot in Royal Belum. 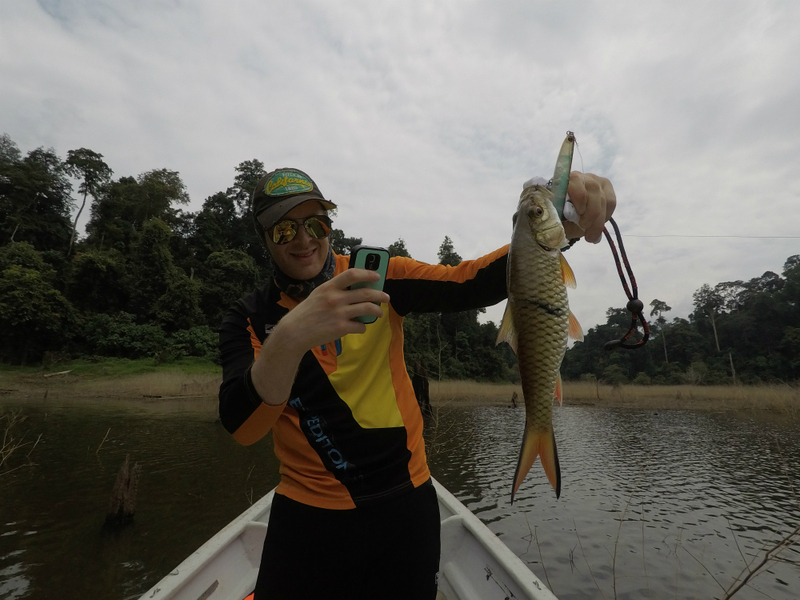 Hampala Barb is one of 3 main Freshwater Game fish in Malaysia. Ima Skimmer 110 does the trick this time. Life is full of peaks and valleys and fishing is no different. After the highs of Royal Belum came two days of slow (though NOT fishless) fishing at the Perhentian Island and Kampung Beng Mini Amazon. 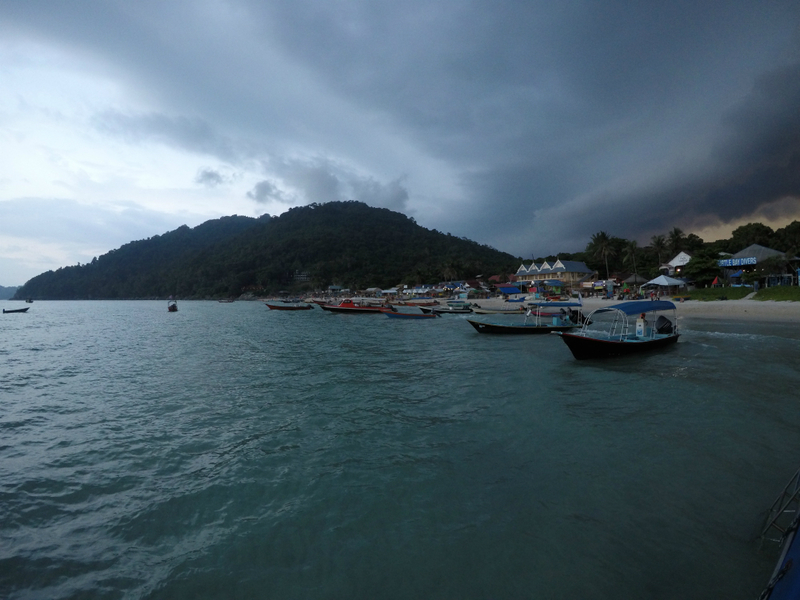 The most frustrating thing about the Perhentians was the snottier than expected weather. It really took the joy out of fishing. 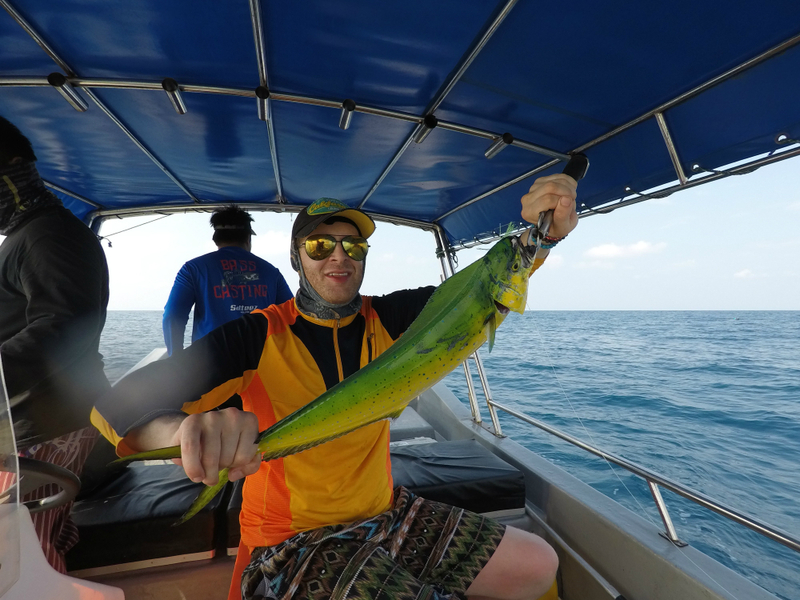 As it was, I managed some lizard fish, a pretty lane snapper, and a dorado for dinner (while acquiring a new future target in the form of a lost Diamond Trevally), but once the Dorado was in the cooler, I decided to call it a day and instead went snorkeling in shallower protected waters. The array of species that I saw was astounding, from blue spot stingrays and moray eels to sea turtles, titan trigger-fish, and huge grouper (the last of which was a prelude of what was to come a few days later). Apparently, a small manta ray jumped near me without my spotting it. All told, the snorkeling more than made up for the slow fishing, but with the weather conditions, I felt lucky to be alive! The peacock bass didn’t cooperate either, but it wasn’t a complete washout. 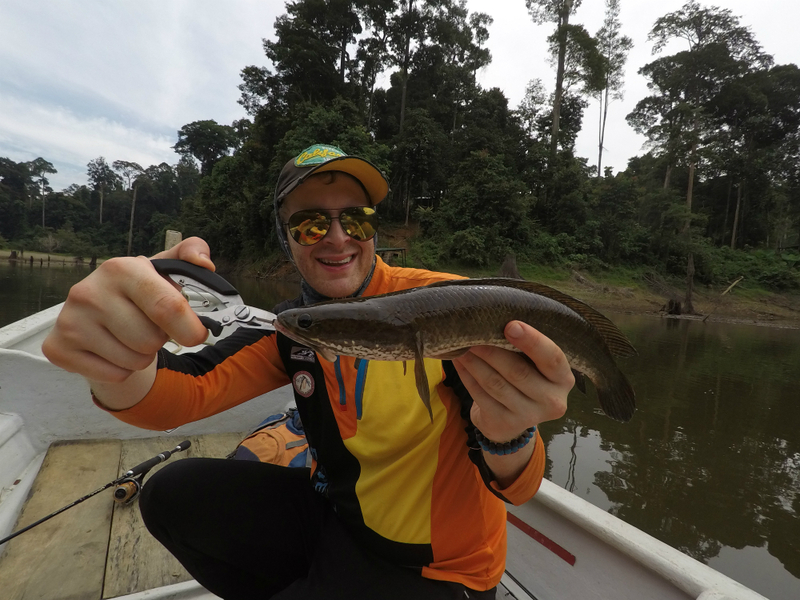 The traditional housing captivated me, and in addition to a common Snakehead and a hampala, I received quite a pleasant surprise in the form of a 2~3 kg sultan fish, which is known as a “mad barb” in Thailand! Pound for pound, one of the best fighters around! Perhentian Island, on our way to the first fishing spot. Rough sea. 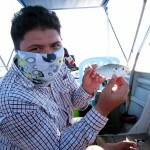 The one that got away, a Diamond Trevally. One lonely Dorado for dinner. Snorkeling Time! Great array of underwater creature and fish in Perhentian Island. Had to stay back and let the storm pass by. In Long Beach, Perhentian Island. Kg Beng Mini Amazon. With our Boatman Roslan. Hamapala Barb of Sungai Perak. 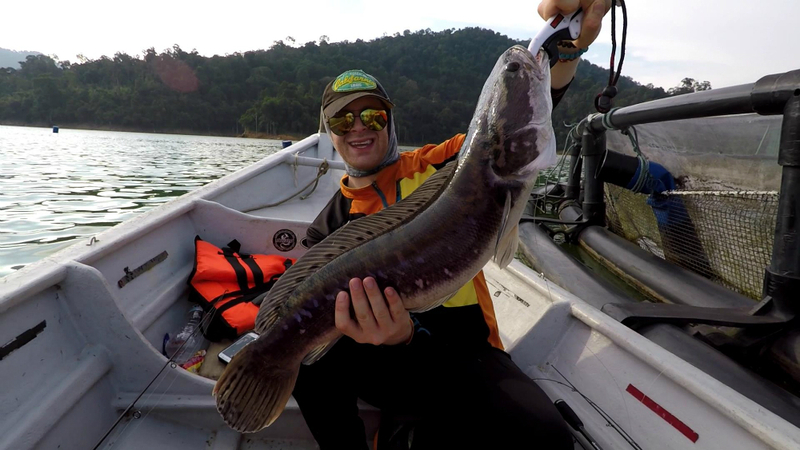 Common Snakehead are so common in Malaysia. After this day, the slow fishing the previous two days no longer mattered. When I got to LS Pond, about an hour from Kuala Lumpur, I was astounded by the size of the hooks. They were so big in order to match the fish in this pond. One of my goals of this vacation was to catch my first truly big grouper. 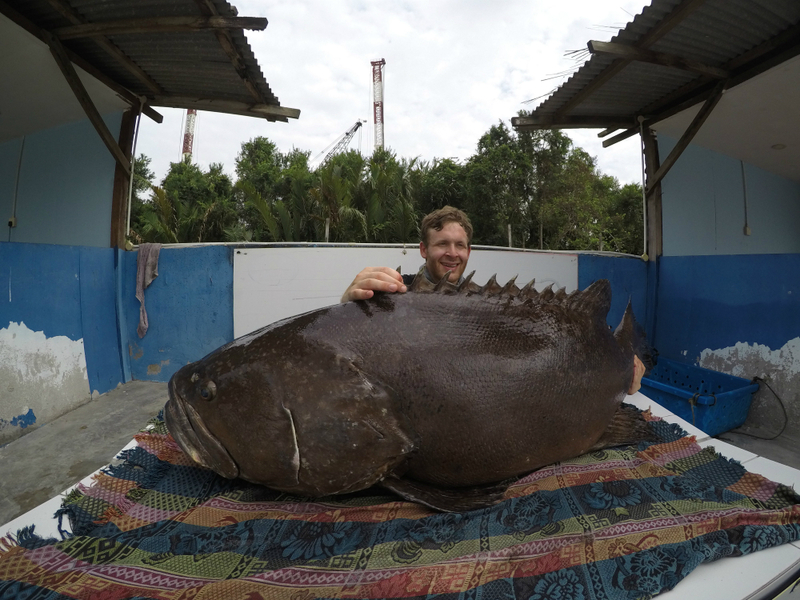 Prior to this, the largest grouper Id ever caught was a 6~7 kg gag grouper that Id gotten in Florida when I was 12. Now, 20 years later, I was about to meet some fish that could easily have swallowed it whole. 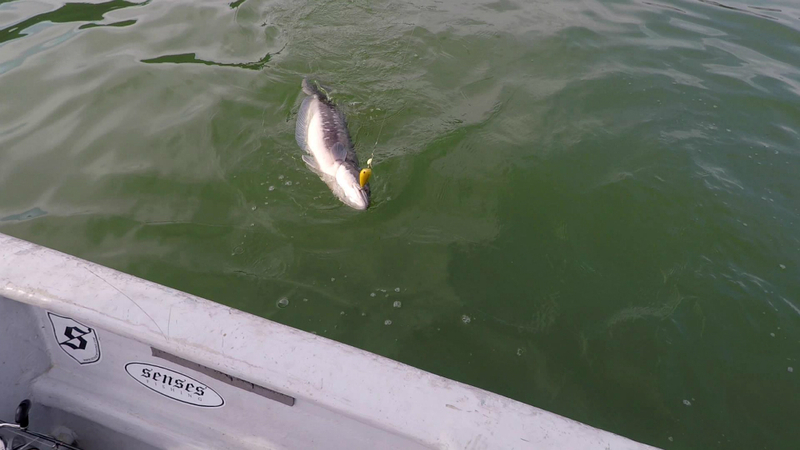 Within two minutes of placing a scad mackerel down, I had a fish on. It wasn’t long before I had a 40kg Pacific Goliath grouper at my feet. From this point on, there were few, if any lulls in the action. The Pacific Goliath and Tiger grouper just kept coming and coming. They were all from 10 to 40kg. Then, fish number six came, and I knew after the second run that it meant serious business. Run after run after run followed. I thought, when will this fish give up? Finally, my fast double retrieve paid off, and as the fish turned over on its side, we all gasped. It was around 100kg/220 pounds and perhaps 175~180 cm long. For comparison, I am 1 83cm tall and 80~85 kg (depending on how much candy Ive been eating!) Weight wise, it was the biggest fish of my life. Massive Goliath Grouper! Only in LS Fishing Pond. Three days later, at the Famous Bungsamlan Park in Thailand, I was to top this with a mekong giant catfish that was estimated at around 150kg, although I believe it was closer to 130kg. Still, on a pound for pound fighting basis, I find the two species quite evenly matched. 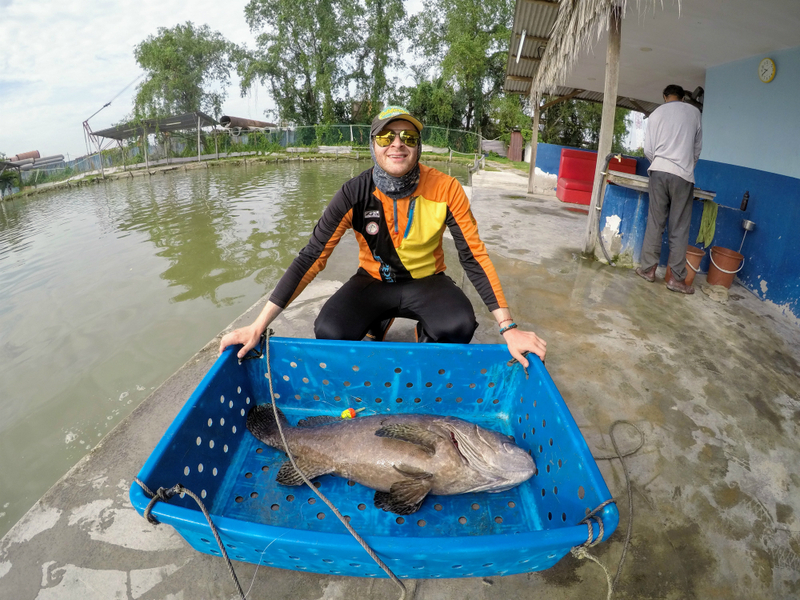 Mekong have the advantage as far as endurance is concerned (that fight took two hours) but when it comes to raw power and brute strength, few (if any) fish can top a goliath grouper. From here on out, the grouper continued coming and coming, and the average size got better and better, with quite a few fish in the 50~60 kg and the occassional 70kg speciman. I was surprised, then, when my reel broke as I was doing battle with a relatively small (maybe 10kg) tiger grouper. It must have, I felt, been due to the cumulative effect of battling so many big fish. We quickly replaced the reel, and I made an attempt to catch a big Mangrove Jack or Barramundi, but couldn’t get past the grouper. By days end, I had done battle with 35, successfully landing 28. Amazingly (perhaps insanely to some people), I still wanted to do more fishing afterwards, and so we went to another series of saltwater ponds. 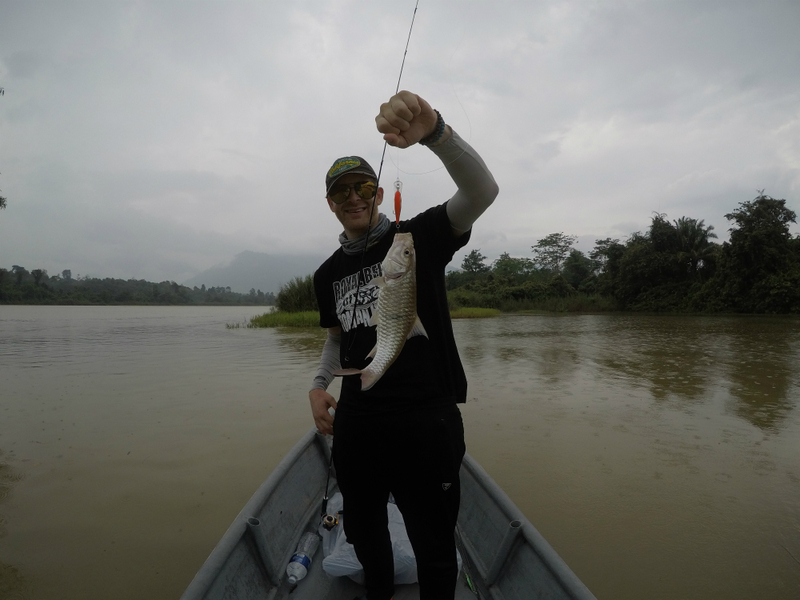 While the redfish didn’t cooperate (perhaps owing to low water levels), the Barramundi did, providing the perfect ending to the Malaysian leg of my fishing safari, before I headed to Thailand to face off against the “River Monsters” at Bungsamran and IT.